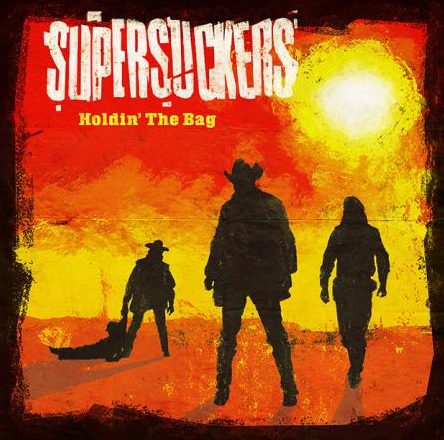 Check out the new Supersuckers video "Holdin' The Bag", the rootsy title track from their latest album out now on Acetate Records. New album is in stores now and the boys are always on tour - Click here for US, European and Australian tour dates! "It always surprises me how good a song can turn out to be," says Supersuckers frontman Eddie Spaghetti. "When I was making this one up, it never occurred to me that it would be the opening track or the title track of the record. I just thought it was cool that I got the word 'befuddled' in there! But this one is an instant classic, picking up where [1997's] Must've Been High left off. If Eddie has proven anything over the course of the past quarter-century, it’s that he’s one of rock’s most tenacious survivors. The same can be said of the Supersuckers, who have released more than 20 albums while maintaining the sort of punishing touring regimen that’s been known to break lesser combos.